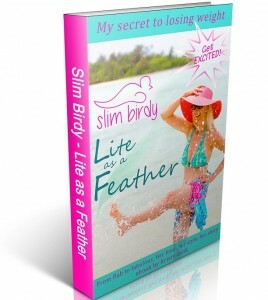 Ebook, Lite as a Feather, by former fatty – Kristy Zenk – is a refreshingly different approach to weight loss; it’s not a get thin quick scheme. NOTE: This book is NOT based on the Dr RAY PEAT protocol – this is based on low carb before I found RAY. Funny, engaging, entertaining; a true story capturing the heartache many women go through with their weight and with a happy ever after ending. It’s part Bridget Jones Diary, part healthy eating without the eye-rolling lectures, part rollicking funny stories and a really unique perspective from the trenches. It just may explain why weight loss has eluded so many for so long. Not that keen on the pain of boot camp, gyms or strenuous exercise of any kind, Lite as a Feather takes readers through ‘out of the box’ concepts and the steps taken to finally find what did work for Kristy from the exercise and eating perspective. It also features food suggestions, dishes and a handful of favourite dessert recipes demonstrating that the path to weight loss can still be yummy! Brilliant photography by award winning photographer Adrian Alford including shots taken in Paris, Cook Islands, Italy, New Zealand and Scotland. Visually stunning it’s just a delight to read, this could potentially be the last weight loss advice you will ever need. So what’s her secret to weight loss? Lite as a Feather will tell all. “This is the first book on weight loss where I related to 95% of it. It was like she was writing about my relationship with food. I loved it!” – Sarah C.
“Loved it! Funny, entertaining, real and inspirational.” – Linda Z. “Lost 2 kgs already in about 2 weeks and haven’t felt hungry at all.” – Kylie J.
It’s great! There were so many parts I could relate to – totally helped me understand my behaviour around food.” – Cindy M.
“Very funny, I loved the part about all the types of exercise she tried and hated. Related to the crazy journey she went through to find peace with her body and food – totally true for me too.” – Katie G.
“The story around coffee was exactly how I experienced it too. Uncanny!” – Adrian A. “I love the way she writes – funny, funny, funny! I so fully related to what she was saying and it felt like we were total twins in some areas it was scary. A great way to tackle what is a difficult topic for many.” – Jodie S.
“I couldn’t stop reading it. I loved all the concepts and couldn’t wait to see what was next.” – Rita A.